Fraud related to rentals unfortunately does occur in the Netherlands, especially in areas where there few available places to rent. People might become frustrated after realizing that finding accommodation it is not as easy as they were expecting and take unadvised risks in trying to secure accommodation. 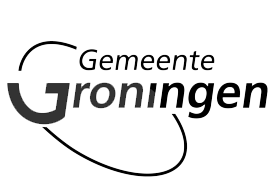 These circumstances makes the Groningen rental market a target for scammers. We certainly don’t want to scare you off, but would like to emphasize that you have to be careful and use caution before paying for accommodation. In your journey to find a flat or room in Groningen, you might find different types of frauds, also called ‘scams’. In this section, we will focus on the most common cases so you can recognize a fraud and avoid it. The most common type of scam is the ‘email/online deposit’ (in advance). In this case, the scammer pretends to be a landlord who is abroad. The most common excuse to explain why the landlord is in a foreign country is work. In this case the scammer sends you an email with (fake) ID information (passport), pretending to prove his identity. You might think this is legitimate, but unfortunately, it is probably not. Professional scammers normally gather passports from other fraud victims. You will start a conversation with the landlord that looks legitimate. They can ask you about where you work and why you need to rent, then they will send you some photos of the property. Then the landlord will ask you for your passport to “prepare the contract”, that way even if you don’t proceed with the payment, they will have a copy of your passport to use in their next scam. After some emails back and forth, the fake landlord will always ask you to pay a deposit in advance. Moreover, the payment is normally a wire transfer to a foreign account, or using services like Western Union. You need to know that these payment services do not allow you to get your money back. Landlord is abroad and thus cannot schedule a viewing of the rental. You need to pay the deposit through either wire transfer abroad or Western Union. Landlord is pushing to close the deal quickly. Monthly rent is lower than market price (too good to be true). Unlike the email/online deposit scam, in this type of scam you get to see the property. After contact with the (fake) landlord and getting all the information you need (address, rent, deposit…), he will schedule a viewing. During the viewing he will show the flat or room, so the tenant will be convinced that landlord wants to rent out the property. Once the tenant is happy and reaches an agreement (moving date, deposit and rent), the landlord will ask the tenant to pay a deposit (usually in cash) before moving. After the tenant pays the deposit in advance, the person who showed the apartment will be nowhere to be found and not contactable. In this case, the tenant should be cautious. The viewing is important since tenant can verify that the property exists, however, it is not enough to guarantee that it is a legitimate deal. Therefore, a tenant should never pay before signing the contract and double checking that the landlord’s information stated in the contract is exactly the same as the one in the provided documents (ID card). This is a variant of the scam described above. In this case, once the tenant has paid the deposit, the landlord gives the keys. When the tenant turns up at the property, she discovers that the keys do not work and the landlord is no longer contactable. The tenant may also arrive at the same time as other “tenants”, who were equally scammed. The landlord usually just tries to convince you to rent but you will notice that they ask little about you… and you know that a property is legit when the landlord wants to know everything about you because he wants to be sure that you are the right tenant. After making the viewing, they propose to pay a deposit BEFORE signing the contract. In case that you sign the contract, they will ask you for your ID but they will not show you theirs to see that all matches. Are all services equally safe? 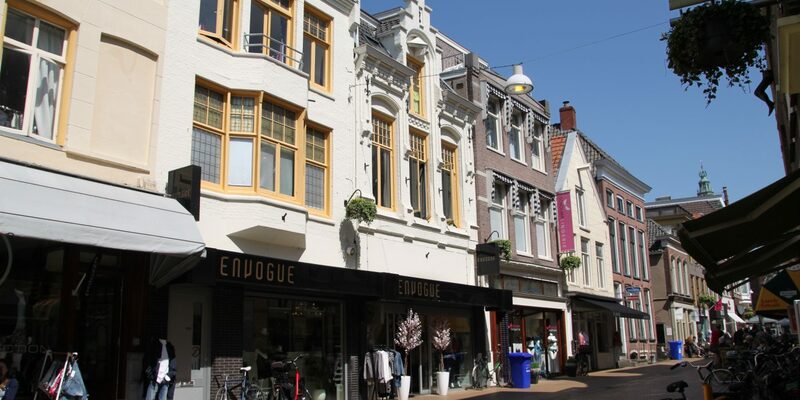 There are multiple services a prospective tenant might use in order to find accommodation in Groningen. However, these services can be classified in four different groups: high-touch agencies, online agencies, ad websites and social networks. All groups have pros and cons, and it is important to understand how they work, so you know what to expect. The chance to encounter fraud depends on how easy it is for a scammer is publish fake properties so potential tenants contact him. It is important to understand how much effort each service group makes when it comes to fraud detection and prevention. High-touch agencies: companies which handle all rental processes. They talk personally with the landlord, check the property before renting it, and arrange viewings for potential tenants. They also provide assistance with the contract and the house insurance. Online agencies: companies with websites where landlords post their properties. They usually perform landlord validation in order to avoid frauds. They offer the properties online, after the tenant has signed up and provided personal information. Some of them offer free contract samples. Ad websites: websites where everyone can post an ad. They usually have an accommodation section, where landlords post their properties. In this case the validation is not as accurate as in other services, such as high-touch agencies or online agencies. Social networks: there are specific groups where people look for a rental offers. Landlords posts their properties in these groups and people contact them, usually by sending PMs (private messages). The safest service you might use are high-touch agencies. They usually are in touch with landlords so they have his personal information. The most unsafe services are social networks like Facebook. You might find interesting groups where people post available flats and rooms. The problem here is that social networks like Facebook do not perform any control on the rental offers, so the responsibility for double checking that the rental is legit lies on the admins and the users. Therefore, unless the rental post clearly looks like a fraud, the scammer will get a lot of private messages before being reported and banned from the group. Most scams you might find will come from social networks. This is due to a lack of control and the ease of creating fake user accounts. Double check that the provided address really exists. You can user services such as Google Maps. Googling the name and surname of the landlord might help you to find people who have reported this person in previous frauds. You might find this information in blogs and forums. Never send your scanned ID (passport). This ID can be used in future frauds. Never pay the deposit before the viewing and signing the contract. Sometimes, legit landlords ask for the deposit transfer in advance. Normally, this is due to personal circumstances of either the landlord. If this happens, you should use safe payment services, such as PayPal or wire transfers to Dutch accounts. Never pay in cash. Paying in cash means that it is really difficult to track the payment. If you have any issue with the landlord, it will be very difficult to prove you have paid.